Murals, paintings, custom wall Lazure painted treatments, and other design work by Robert Logsdon can be seen across the U.S. in offices, schools, homes, places of worship, therapeutic and recreational facilities. 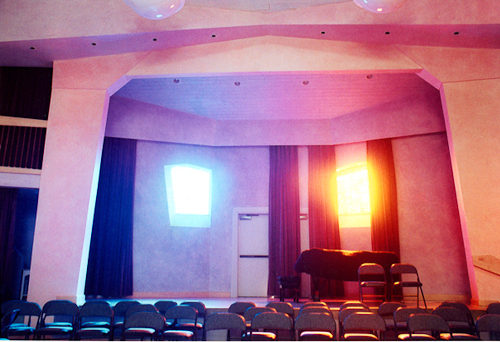 Invite ColorSpace to help you create your environment, merging your vision with our imagination and experience. Lazure can act as a powerful healing influence amid the stress and tension of modern life, while achieving aesthetically beautiful results. 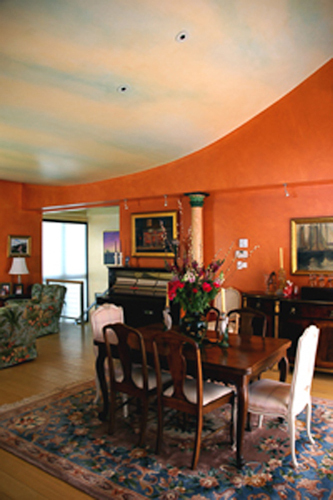 A room color may be created through layers of various hues, or transitions of color moved from one to another in a vertical, horizontal, or curved format. In this way, transitions are also made from one open space to another where a color change is required without a complete stopping point. 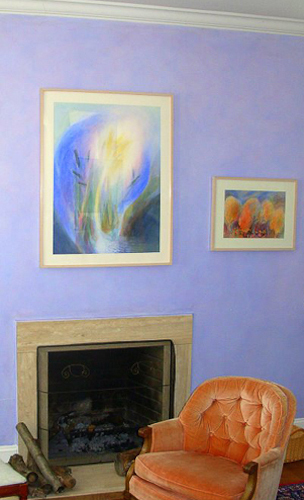 Color-scape compositions are created for special areas offering focus and stimulation or relaxation. Delicate or dramatic color-scapes are created through the color depth, enhancement, and contrast. Murals are developed using the color-scape techniques, creating recognizable images to evoke a particular impression or tell a story.